1. Second class seats were as good if not better than 1st class ones and were definitely less crowded. 2. 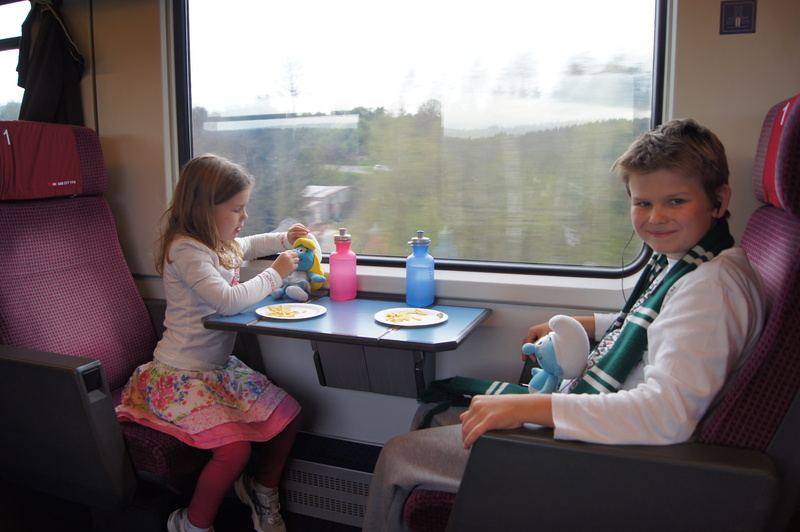 Contrary to our expectations there was no food or drink sold on the train and no stops long enough to purchase anything. The toilets also had no potable water so it was a good thing that Di had brought supplies along. 3. When you flush the toilets the contents are deposited on the tracks. Which is a bit barbaric in 2012. 4. A nine hour train trip is much more bearable than a plane trip. There is much more room and much better views. 5. 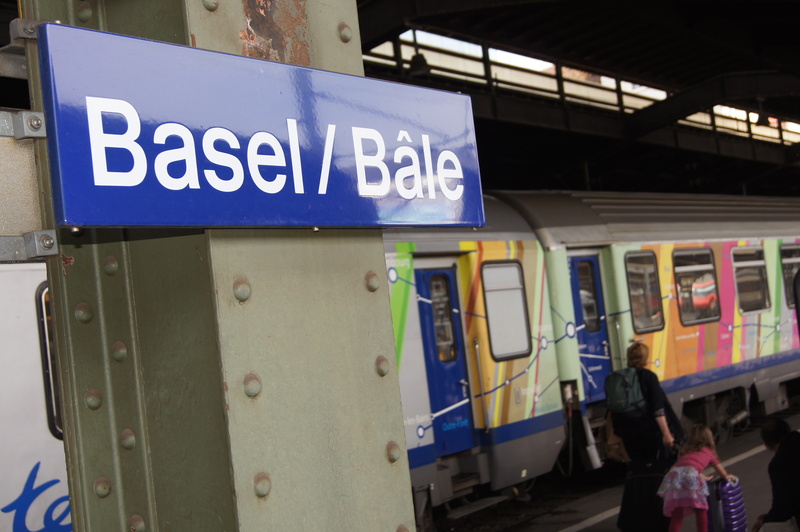 At Basel we were told to “get off the train”. It seems that we had to do an unscheduled change of trains, but we had to rely on an English speaking local who was on the train to explain why we had to get off the train. 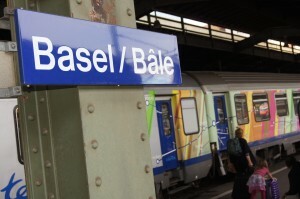 Having changed trains at Basel there were no issues with the rest of the trip. We changed at Zurich for Zug and Sheridan met us at the train. We had a quiet, gourmet dinner (fragrant chicken curry made from scratch) and settled into Sheridan and Paul’s lovely apartment in Zug. Pia and Sophie got reacquainted and played together before (and after) bedtime.